The project by Richard Clar and Dinis Afonso Ribeiro seeks to reconnect all Portuguese speaking contries. 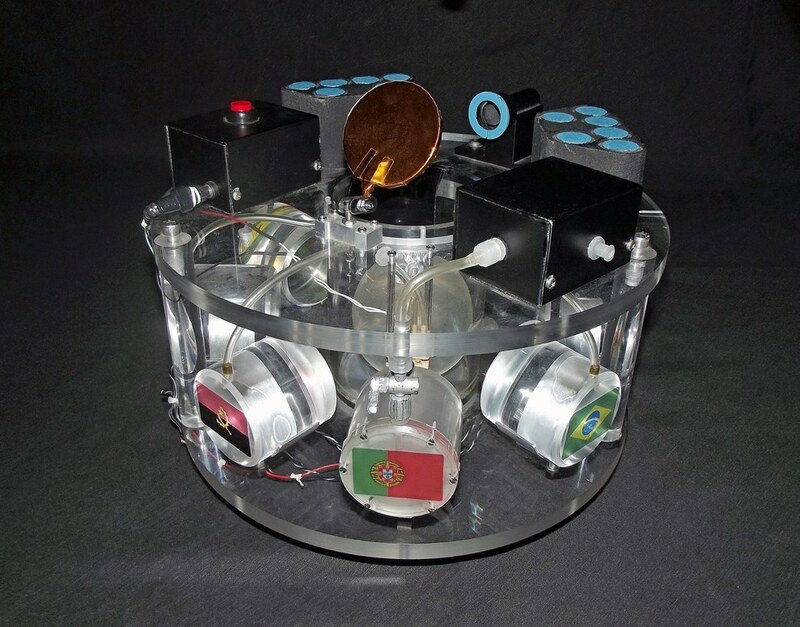 Taking water samples from the eight countries (Portugal, Brazil, Angola, Mozambique, Cape Verde, Guine-Bissau, Sao Tome e Principe, and East Timor), Clar and Ribeiro intend to send the water samples into space inside a liquid mixing apparatus (shown above). The idea is to expose the water to low-gravity and mix the waters in a symbolic way and in a neutral environment. The project aims to increase unification of Portuguese speaking countries and celebrate their common language. Alma da Agua translates to Water of the Soul, a befiting title for this endeavour. It suggests that all Portugeuse people are a part of the same soul because of their heritage. It tells us not to forget our past and to remember where we come from. What an interesting way to try and bring people together. I Hope it brings a new sense of unity for all the Portuguese speaking countries.